My kids have both had strep throat recently. It has been going around their school and although we were healthy all year, it finally caught us. The good news is it didn’t cost us anything! We were able to make an appointment for a phone consultation with MDLive, the company that Medi-Share partners with, each time and consult with a doctor immediately! No cost for the appointment, or for the amoxicillin that we picked up within the hour from the pharmacy. Our kids were back to no fevers within a day, and we continued through the antibiotics for 10 days. Life changing!! Read below for more details, and for all the ways we are saving on insurance, read HERE. Thankfully, we can do doctors visits for free with Medi-share’s Telehealth program. With Medi-Share we were able to “see” a doctor immediately virtually with their tele-health program. You can review the available doctor’s certifications before selecting your preference among those available. They were able to diagnose and treat our issue and prescribe medication to our local pharmacy…immediately! For the germaphobe that I am, this was such a nice change. No germy waiting room. No waiting. We didn’t even have to leave the house! The best part: it was free! NO cost to see a doctor; this is included in our membership to Medi-Share. I am not receiving any kind of commission for sharing this info; I just think it’s too good not to share! This does not replace our regular doctors, and they will send the records to your doctor’s office if you wish. This virtual service is very helpful, though, in these situations, and saves us a ton! If you are looking to save money on insurance so you can live your priorities, I highly recommend Medi-Share. I think it’s a great service that is helping many people when health care is otherwise unaffordable. We have saved a TON on insurance costs this year (thankfully, and fingers crossed), so I highly recommend you reading this page. Our auto and home insurance changes have been life-changing as well! Save money on these expenses, so you can live your priorities! Black Friday is less than a day away! 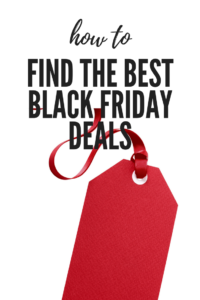 Get ready to find the best black Friday deals, possibly the best this Christmas season!! Retailers have been planning on this week all year because this is when the bulk of Christmas shopping will happen this year. Peak Week starts the Monday before Thanksgiving and goes through the following Monday, referred to as Cyber Monday. * Black Friday is a term almost used to describe this entire time period for many retailers. * I like to think of getting this task complete (or close)- Christmas shopping- so we can all enjoy Thanksgiving and Christmas together a little more. Back to Black Friday shopping, get your lists ready! I do believe you will find some great deals this week if you are ready to make a purchase. If you have any questions about securely shopping online, read this post to shop smart online this Christmas season. We want to help you find the best Black Friday deals online and in stores so check Mom’s Priority daily for updates. We will be updating our list of deals daily as we receive them from retailers here on the Black Friday Deals page, accessible from the main page. You may want to bookmark this page. You need to remember to check prices before you buy. Even though a retailer claims to be offering a great price on an item, that doesn’t mean it is the BEST price. One great website resource to check Amazon prices is https://camelcamelcamel.com . This is a legit site that does behind the scenes work for you. You can even sign up for price drop alerts if you are shopping Amazon and need to find a particular item. You should review the Black Friday Ads for major retailers below, which are linked below for your convenience. Black Friday 2018 is coming November 23! Retailer giants like Amazon and Walmart have already begun their deals of the day and door busters, with more coming each day. Here is a list of the bigger department store Black Friday ads we have so far. Use promo and coupon codes whenever possible. Note retailers that price match, and ask for a price match if you find an identical item at another store. Consider a free trial of Amazon prime just for the holidays for the free shipping benefits. Try Amazon Prime 30-Day Free Trial . Always keep your budget in mind and think about creating a Three Gift Rule to keep the focus off all of the gifts. See our post about the Three Gift Rule here. These are just a few of the ways you can find the best black Friday deals this week. Good luck!! What I love about Janie and Jack are their heirloom-quality clothing. It’s typically a little pricey for our budget, but when you find a sale, you find a great quality clothing item you can pass down. 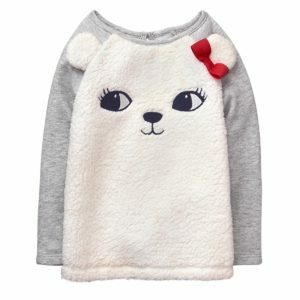 If you are looking for Christmas dresses, or just dresses for every day, you need to take a look. This extra 20% off available today only will help you find those items you are looking for this Christmas. 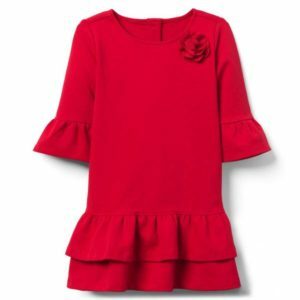 Like this adorable, simple Christmas Janie and Jack girls dress. You can dress it up or down, but the look is classic and timeless. Also, their selection of clearance girls dresses for summer is also nice – at really great prices! Like this one and tons of others! Click here for more deals from Janie and Jack. Clinique Bonus Time at Macy’s is NOW ~ Don’t Miss it! Choose your free 7-piece gift with $29 Clinique purchase. Shop now at Macys.com! Valid 9/26 through 10/10 Heads up, now is a great time to stock up on your makeup as it’s Clinique Bonus Time at Macys! This is the easiest way to buy your makeup! You don’t even have to find time to go shopping. Simply go to Macy’s online by clicking the picture to the right, and order your needed items. Spend just $28 and the bonus gift is automatically added to your bag. If you wear Clinique, it is so simple to order online with free shipping and have your makeup delivered to your door! It doesn’t get much simpler! Or faster! I have been approached multiple times to get on the multi-marketing bandwagon with another skincare provider from other women, and my answer is always no for several reasons. The primary reason is I have no interest in switching. Clinique products have been good to my skin for many years, back to the teenage years when my skin needed lots of help! I think many in my generation grew up on Clinique, as our moms used Estee Lauder! No reason to change a good thing! Also, I am thankful for the ability to easily purchase my Clinique makeup without making a trip to the mall. Ordering online is so simple, and your makeup typically arrives at your door within 2 days. 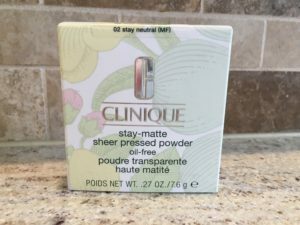 Ordering Clinique on Macys.com is so simple- why complicate it? While you’re on macys.com, check out the sales in other departments and get free shipping with any beauty purchase. In order to achieve farmhouse style, a casual farmhouse wreath or two- or five!- is a must! Wreaths are a casual way to decorate your home in farmhouse style. 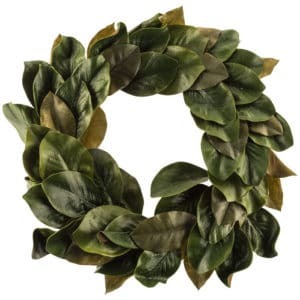 I love this wreath because it looks real and it’s affordable! This particular one is from Amazon, and we have it hanging in our entryway in front of a mirror. For the price, you can’t beat it. It looks great and should hold up for years to come. I have this preserved boxwood wreath hanging over our Kohler sink in the kitchen, and I love it! It is very well-made, arrived perfectly, and is lasting. I am spraying it weekly with water, because it is made of real boxwood cuttings. 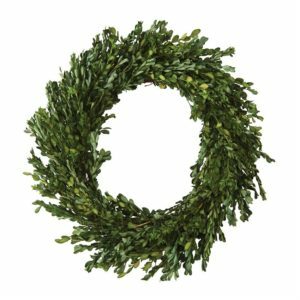 The boxwood wreath is perfect for farmhouse décor. This particular wreath is from Mud pie. This one is not exactly a farmhouse wreath, but it still fits into the same category. I list it because it is perfect for farmhouse style and would be an elegant addition to your home! 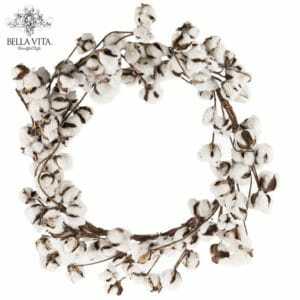 Finally, the cotton wreath is definitely farmhouse style. It is relaxed farmhouse décor and perfect in a bedroom or on a gallery wall. Whether you are looking to adorn a front door or a gallery wall, these farmhouse wreaths are all beautiful, yet timeless styles that you can enjoy for years to come. Before the weekend gets away, make sure you check out Gymboree’s $25 off $100 sale. This is in addition to everything being 40%-70% off! Adorable dresses, tees, and even tall boots are on sale for $12.99. I love a good deal, and now is a great time to snap up these deals in the next size to put away for next season. Much better than paying full price!! When you do, use this link: $25 Off $100 at Gymboree with code SUNNY25. This sale only runs through Sunday, April 8, so don’t miss out. The best way to save your money on kids’ clothing is to shop off-season with deals like this Gymboree Weekend Deal. For more deals, check out the Mom’s Priority Deals page. We see the signs of spring, and I don’t know about you but I’ve been on the hunt for warm weather clothing! My kids have outgrown everything from last year, and we all need to refresh our style for Spring a tad. 🙂 Fortunately, I have had success at Crazy 8, Target, and Macy’s. Gymboree also has good spring deals available now, and if you order by March 21, it will be delivered by Easter! We do not need another dress, because my daughter has plenty from her cotillion classes this year, but if you do, look at Gymboree. Their prices are reasonable, and they offer Free Shipping at Gymboree (through 3/18) and delivery for Easter! I’ve included many deals on the Deals page. Check it out here: momspriority.com/deals. 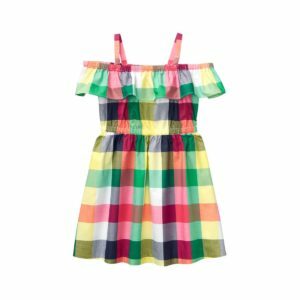 Looking ahead to Easter egg hunts, Easter Sunday, end of the year celebrations, and early summer travel, now is the perfect time to find spring deals on spring dresses and clothing. Also, don’t forget consignment stores! You can find barely worn dresses and clothes at a fraction of the cost! See my post about consignment here. Consignment offer spring clothes for much, much less than buying new. After all of my praise of Walmart, I am disappointed to share my experience with Walmart price increases online. Have you noticed how Walmart offers two prices now on their website for grocery items? The online price and the in-store price. I knew it was a great possibility, but was so excited to be able to do the bulk of my shopping online this past year that I tried out Walmart online. Now that prices are increasing online, I need to review how I shop in order to save money and time for our family. I share with you today so you can be aware and do the same. We are all looking to make the best decisions for our family, to make the most of our time and money. 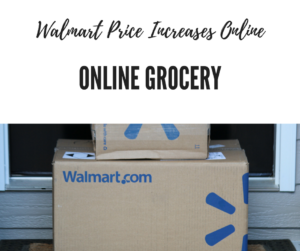 Here is what you need to know about the Walmart price increases online. 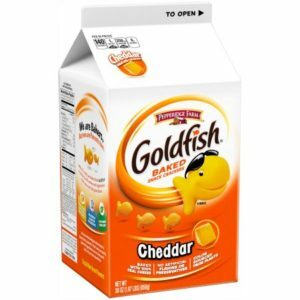 This 30 oz box of Pepperidge Farm goldfish is $8.45 for 2 day shipping to your door. It is $7.18 in the store or if you pick up at the store today. It makes sense for their business to do this; but, as a customer, I enjoy receiving Walmart packages to my door with no extra expense or effort- who doesn’t?! Walmart is now pushing sales of items $10 and up through its online site, per this article from cnbc and others. As 2018 progresses, you can expect to see a shift in affordable items at Walmart.com. All of the online grocery suppliers are making shifts, though, as this market evolves. As for us, we have to be aware of these changes and pay attention to prices so we can keep our priorities. While previously the prices were mostly the same in-store and online with delivery, now you can choose to pay the premium to have the item shipped to your house. The price is significantly more, around 20% more in my experience. However, you are not also paying shipping, as long as you spend $35 or more, so depending on your needs, you may still choose delivery. Originally, you shopped in stores for all groceries. Over this past year, you have been able to shop online and have items delivered to your door. Now, a third option is becoming more popular: Online grocery ordering and curbside pickup. This third option has become more popular (although my location almost always has plenty of availability for pickup times). You receive the lower in-store price (currently, to my knowledge) and you can make complete grocery trips including refrigerated items. Who knows, however, how long this option will keep the lowest prices, though. As we’re all aware, we have many options to order groceries through these days that are convenient for busy moms. From Amazon’s wide offering, to Publix and other grocers offering the Instacart delivery service, to Kroger’s Clicklist, and others like FarmFresh, we have many options. Read my review on the best prices for online grocery here. But, none of these options is perfect or meets all of our needs. We just have to choose the best option available for us. According to the WSJ article mentioned above, Walmart is seeking to drive customers to its physical stores. But, what if we don’t want to go inside?!! My day is much more peaceful without a Walmart trip! As I’m sure yours is as well. With Walmart price increases online, it is difficult to form consistent shopping habits. What are your thoughts on online grocery? Is it something that you currently do, or plan to do in the future? Looking for last minute and after Christmas deals? 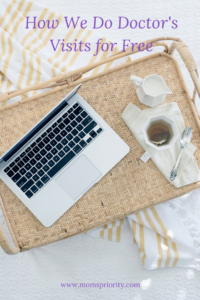 I am updating the Mom’s Priority Deals page with good deals as I find them. For example, Vera Bradley has Free Shipping on orders of $75 or more! Valid 12/22-12/30 , as well as Holiday Sale! 50% off select patterns! Valid 12/8-12/25 . Today is the last day for Amazon Prime 2 day free shipping. Walmart Pickup is also a great option for pickup today- just order online and pick up in the store to save time and money! 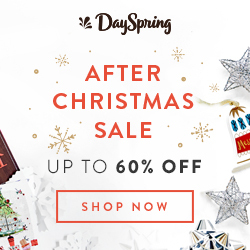 DaySpring is starting their After Christmas Sale with deep discounts on Christmas decor and other items. 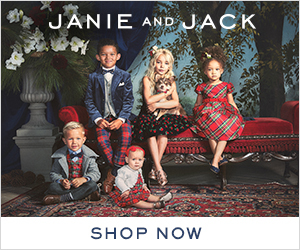 Janie and Jack is also starting their End of the Season Sale. 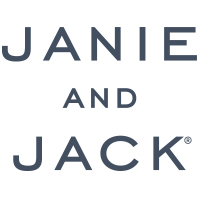 Janie and Jack: Heirloom quality clothes that you can pass down. Trendy, stylish, and on sale! Today is the last day for Amazon Prime 2 day free shipping. Walmart Pickup is also a great option for pickup today- just order online and pick up in the store to save time and money! Find these last minute deals and after Christmas deals on the Deals page of Mom’s Priority. If you are looking for a particular LEGO item for a Christmas gift, there is no better place than the official LEGO online store! We are a family that loves LEGOS in our house. Every few months, my son submits his creation to be considered for the Lego magazine. We have Lego creations all over the playroom shelves: Lego Friends through Lego Star Wars and beyond! My kids can spend hours playing with their creations. And we all know the painful feeling of stepping on a Lego! I am sure you can relate. For uncommon LEGO sets, the official website is the best place to go to find what you are looking for. FREE Exclusive LEGO® Canvas Tote Bag with purchases of $199 or more! FREE Exclusive Disco and Clown Batman™ Minfigures with purchase of the Joker Manor! Online shopping is so helpful for busy moms. This is a great way to get shopping done, with free shipping, before the Christmas season gets in full swing. But these deals only last through Monday! For more Black Friday deals from other retailers, check out our Black Friday Deals page.